The Independent Inquiry Committee has called 17 individuals to facilitate in the investigation into sexual harassment allegedly committed by a senior doctor against the housemen of a hospital in the Klang Valley. Health Minister Dr Dzulkefly Ahmad said those called comprised 10 of the victims and seven witnesses. “The committee has met twice and we have called the individuals to facilitate in the investigation, but I cannot reveal the outcome yet,” he told a press conference after opening the 1st Malaysian Men’s Health Conference at Universiti Malaya (UM) here yesterday. The senior doctor, who is the head of Orthopaedics department of the hospital, was reported to have sexually abused the female housemen under his supervision. Following the exposure of the case, more victims have come forward to lodge complaints of sexual abuse occurring in hospitals to the Health Ministry and also to the Women, Family and Community Development Ministry. 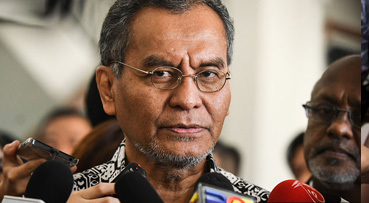 In another development, Dr Dzulkefly said the ministry would convene a meeting with Bank Negara Malaysia and the Finance Ministry this Wednesday to discuss the progress and proposed implementation of the National Health Insurance Scheme. “There is no specific timeline, but it is part of the Pakatan Harapan 100-day manifesto pledges for the 14th General Election. If Cabinet approves, we will go ahead with the pre-launch,” he said. The 1st Malaysian Men’s Health Conference was jointly organised by UM and the Malaysian Clearinghouse for Men’s Health, with the cooperation from the Health Ministry and the Malaysian Society of Andrology and the Study of the Aging Male. Also present were Health Deputy Director-General Datuk Dr Chong Chee Kheong and UM vice-chancellor Datuk Ir Dr Abdul Rahim Hashim.